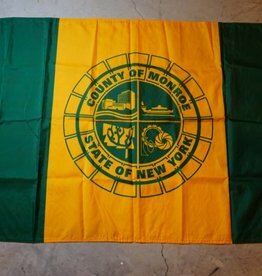 This NY State Polyester Flag 4'x6' printed 2-ply spun polyester New York state flag comes with brass grommets. 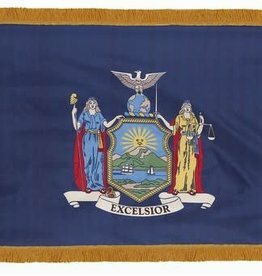 Flag is 100% made in the U.S.A.
New York State Indoor Flag Printed Nylon Flag with Brass Grommets. 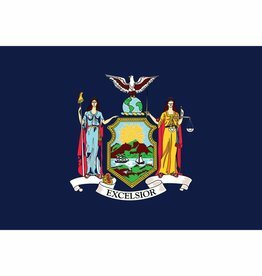 All Flags made within the United States. 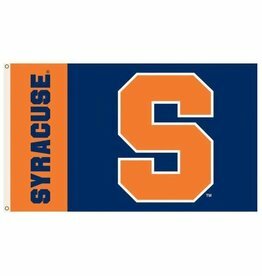 Syracuse Orange single sided polyester flag finished with brass grommets used to attach a flag pole. 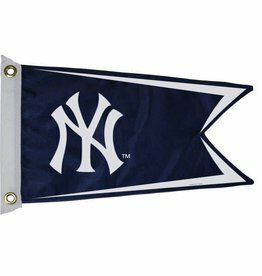 Available in 3X5. 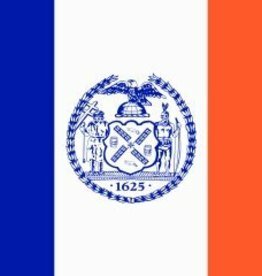 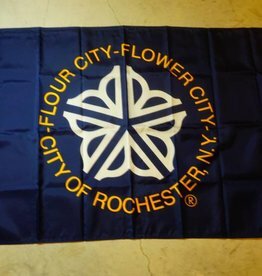 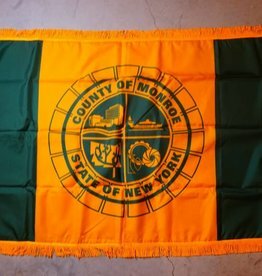 State of New York Monroe County Nylon Flag for Indoor or Outdoor Display. 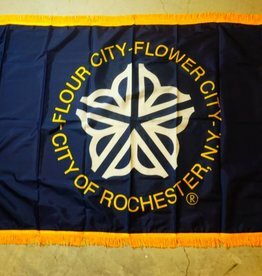 Available in sizes 2'x3' up to 6'x10'. 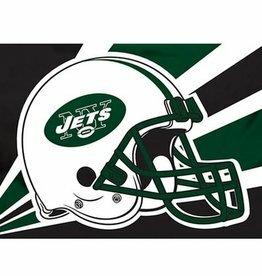 New York Jets single sided printed polyester flag finished with brass grommets used to attach to flag pole. 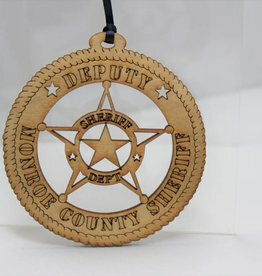 Available in 3x5.